After years of paying her dues on the force, Beth Sturgis has earned her place as a detective for the Robbery-Homicide division of the Atlanta PD. Now, she's heading up a major manhunt for a potential serial killer who’s working his way inward from the outskirts of the city. The copycat elements in the first crime scene lead Sturgis to retired FBI agent Jack Kale, who was responsible for apprehending and nearly killing the murderer known as the Scarecrow, the same Scarecrow who appears to be this new killer's terrible inspiration. A reclusive single father and university professor, Kale is trying to keep the demons at bay through therapy and avoidance. That is, until Sturgis shows up asking for his help. Against his better judgment, Kale is drawn into the most dangerous cat and mouse game of his life. 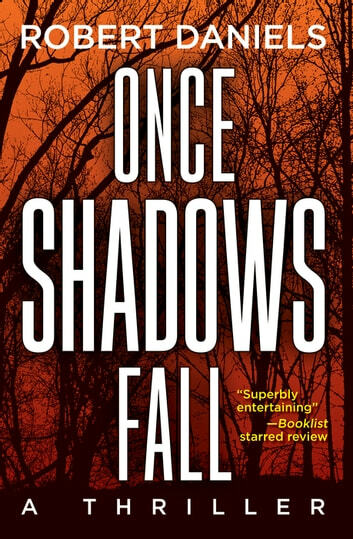 Robert Daniels's Once Shadows Fall, is a gripping thriller in the bestselling tradition of Silence of the Lambs and is sure to become a crime fiction classic.